In very recent news, German based sustainable energy firm SOLARKIOSK has joined the United Nations’ Business Call to Action (BCtA). In joining the BCtA it has pledged to establish 940 solar-powered retail businesses, known as E-HUBBS, across the east African countries of Tanzania, Rwanda and Kenya by 2020. Doing this promises to provide “Sustainable energy products and consumer goods to local communities and [create] at least 2,000 new jobs within the inclusive E-HUBB network” according to the BCtA website. Started in 2012, SOLARKIOSK “Enables and empowers the sustainable economic development of Base-of-the-Pyramid (BoP) communities worldwide through the provision of clean energy services, quality products and sustainable solutions.” It currently has 200 E-HUBBs, six country subsidiaries and is involved in projects on three continents. The BCtA, was launched in 2008, and “Aims to accelerate progress towards the Sustainable Development Goals (SDGs) by challenging companies to develop inclusive business models that engage with people with less than USD 8 per day in purchasing power as consumers, producers, suppliers and distributors.” Hosted by the United Nations Development Programme (UNDP) it has subsequently been supported by many international organisations with SOLARKIOSK being the latest. By establishing new E-HUBBS across east Africa, SOLARKIOSK is striving to help people financially empower themselves and improve their livelihoods. According to BCtA, “The average off-grid household spends USD 150 each year on meeting its energy needs” yet they tend to rely on energy sources that are not only dangerous but are expensive and create pollution. Examples of such sources include kerosene (paraffin), diesel generators, car batteries and charcoal. 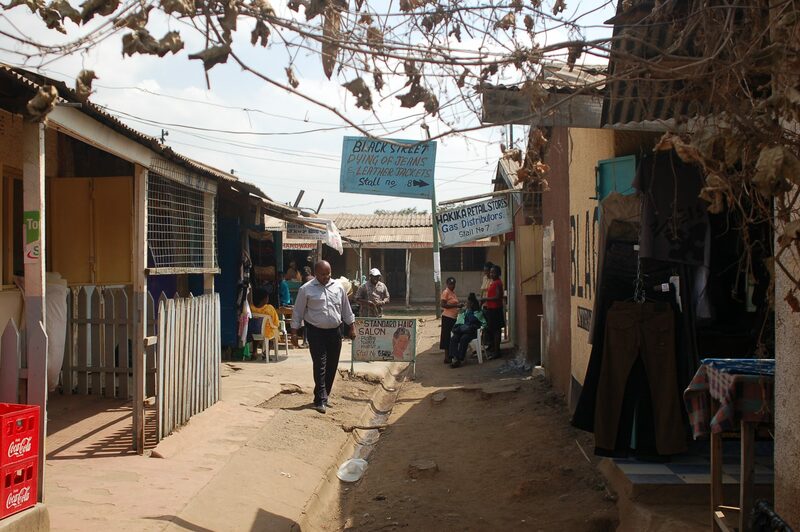 Enabling BoP households to save money on their energy costs enables other opportunities to be opened. Rather than financing their basic (and often unhealthy and unsustainable) energy needs, households are able to save some of their limited finances to spend on improving their livelihoods in other ways. One example could be to use the money to start a small business that is powered by a SOLARKIOSK solution rather than an expensive and unreliable diesel generator. Another option would be to invest more money in the education and learning of the household’s children. Being poor does not mean BoP households do not know how to sustainably improve their livelihoods and they should be given every opportunity to do so.